The full-size version will hover better than helicopters and fly twice as fast. 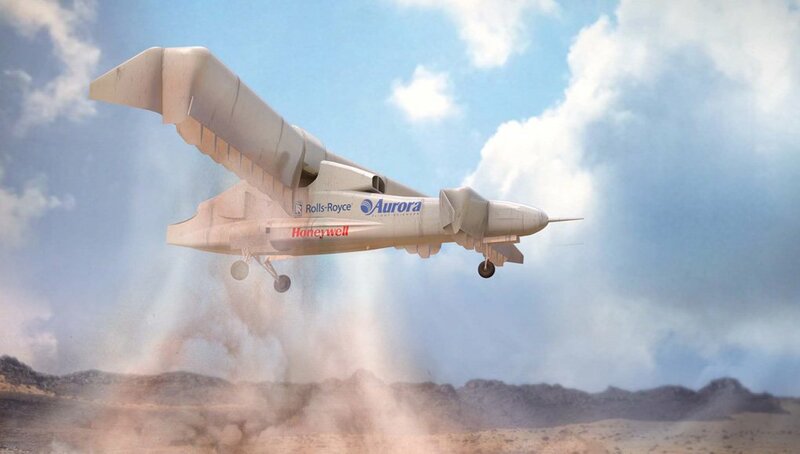 DARPA's experimental Vertical Takeoff and Landing (VTOL) aircraft, the XV-24A LightningStrike, cleared another developmental hurdle by completing its subscale flight tests in early March, according to its manufacturer, Aurora Flight Sciences. The unmanned subscale demonstrator weighs in at 325 pounds and is powered by a single lithium battery. That's a far cry from the 61-foot wingspan, 12,000 pound aircraft it's meant to represent that but plenty large enough to demonstrate the same technical abilities, including transitioning into and out of forward flight from a hover. The full-size version is expected to begin proper flight tests in late 2018. Vertical Takeoff and Landing (VTOL) aircraft offer both the speed of conventional winged aircraft and the hovering ability of helicopters but their flexibility comes at the cost of not excelling at either. The LightningStrike program aims to change that. By using 24 electric fans spread across its wings and canard, this prototype aircraft should achieve be able a top speed of 300 - 400 knots (345 - 460 mph), which is twice as fast as most helicopters, while improving its hover efficiency by 15 percent. And while VTOL aircraft exist almost exclusively in the military domain at the moment, the technology is quickly seeping into the civilian world as well. Uber has been toying with using VTOL aircraft for short-hop flights around cities, while Airbus is looking into cars that can transform into quadcopters to avoid traffic congestion.